Department of Human Services Certificate of Compliance for child care centers and group homes or Centers of Registration for family care homes. Teachers learning new ways to help your child thrive. Your child feeling good about himself or herself. Families involved in the program and their child development. 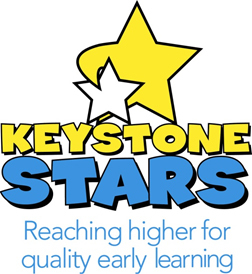 Just Children Child Care Centers are proud to be a part of the Keystone Stars program!